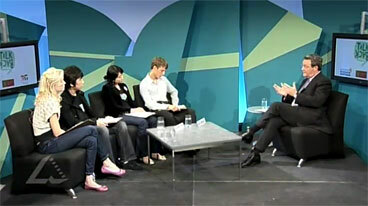 Video clip synopsis – How can Australia take responsibility for its standard of living? Broadband MP4 climchan_bb.mp4 (14.6MB), suitable for iPods and computer downloads. As a class, brainstorm a definition of pollution and list its variable forms. From your brainstorm list individually identify what you believe is the worst type of pollution. Justify your response in a sentence or two and compare your opinions with the rest of the class. List two of the things that Alexander Downer suggests would need to be ‘thought through’ before action could be taken to reduce Australia’s pollution levels. Draw a cartoon that illustrates some aspect of this issue.